During the holiday season I crave an Italian passito. A sweet wine made from grapes that have been dried to concentrate their juice. Festive, intense and fun to drink they are the perfect accompaniment to Italian dolci. 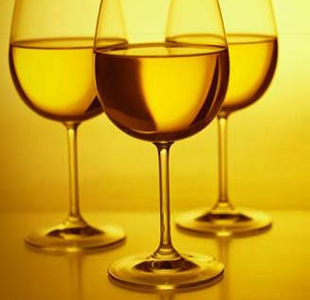 Sometimes referred to as “pudding wines” in the UK because they are served with dessert, these wines contain high levels of both sugar and alcohol and are meant to be enjoyed as a leisurely sip after dinner. Their richness lends itself to the classic Tuscan pairing, a glass of Vin Santo to dip with biscotti or cantucci or to drink with a Milanese holiday panettone. The excess of Italy’s pasticerria at Christmas time and the penchant for the Italian love of serving nuts and dried or seasonal fruit for dessert is a great opportunity to pair some of Italy’s other passito wines to your favorite holiday dessert. One of my favorites is Albana di Romagna from northern Italy, an Italian passito from Emilia Romagna. With an aroma of balsamic eucalyptus, dried apricots, dates and honey and shades of amber and gold it is an insensual indulgence with pastries, cakes, ricotta-filled torta and for our UK friends – pudding. Be aware that passito wines are difficult to find in the States (my last sip was in Ferrara) as most of famous brands are kept in Italy.